I love cake. I really love caked. And when it comes to cake I don't think you should compromise, good cake is one of life's little pleasures and I'd normally rather have one fat slice of something naughty in moderation than look for a less naughty alternative. Spray a loaf tin with some frylite and line with greaseproof baking paper. Seperate the egg whites from the egg yokes. Mix the egg whites with an electric whisk until you can form soft peaks. 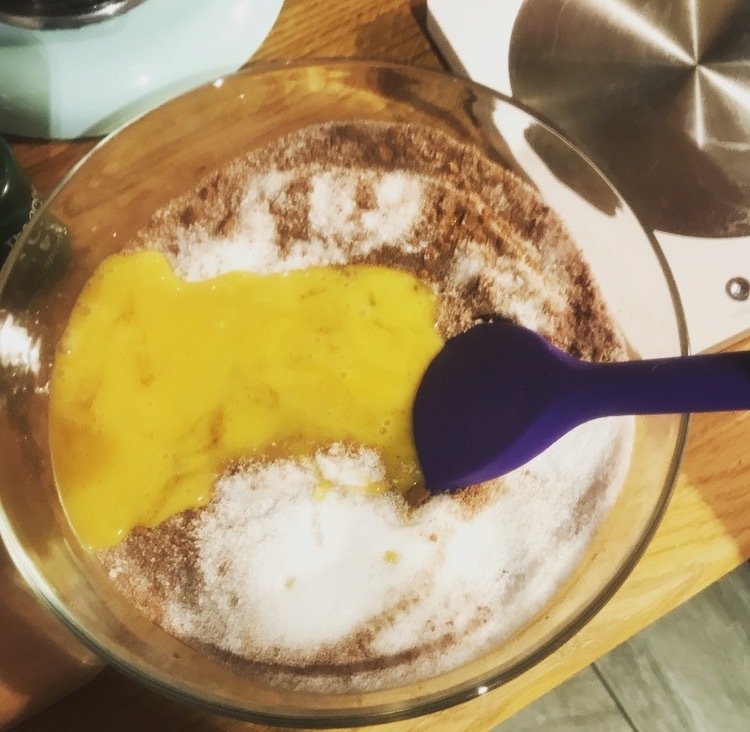 Mix the other ingredients together in a bowl - Splenda, egg yolks, cocoa and vanilla essence, add water until you have a paste. Fold the mixture, quarters at a time, into the egg whites until mixed - it is quite a wet mixture. Pour into the loaf tin and bake for 25 - 30 minutes. Serve with a large mug of tea or add some low fat yoghurt.